Offshore. Where no two moments are the same. Offshore. Where the elements conspire to defeat the unprepared and the ill equipped. Offshore. Where persistence is respected. And success is hard-fought. 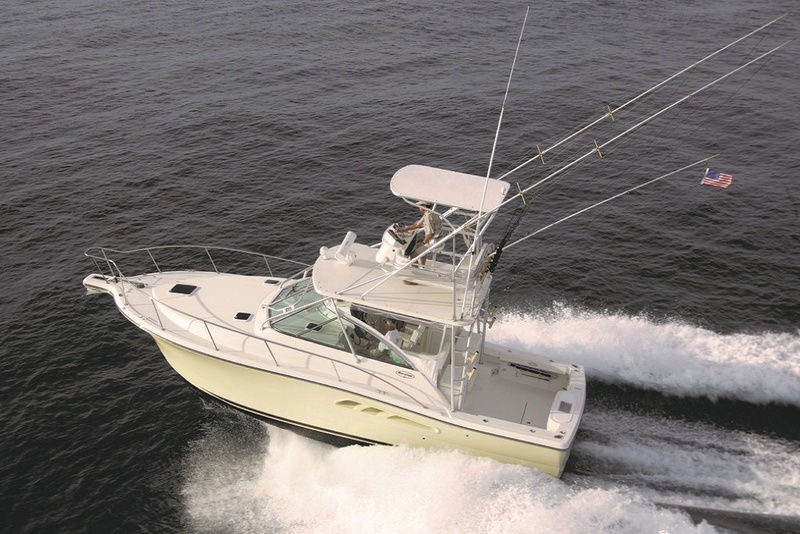 Rampage Sport Fishing Yachts represent the ideal balance of design, construction and performance. Seaworthy and supremely fishable, each Rampage is built to take command of every challenge. After all, in the unpredictable world that lies offshore, dependability is a virtue of the highest order. 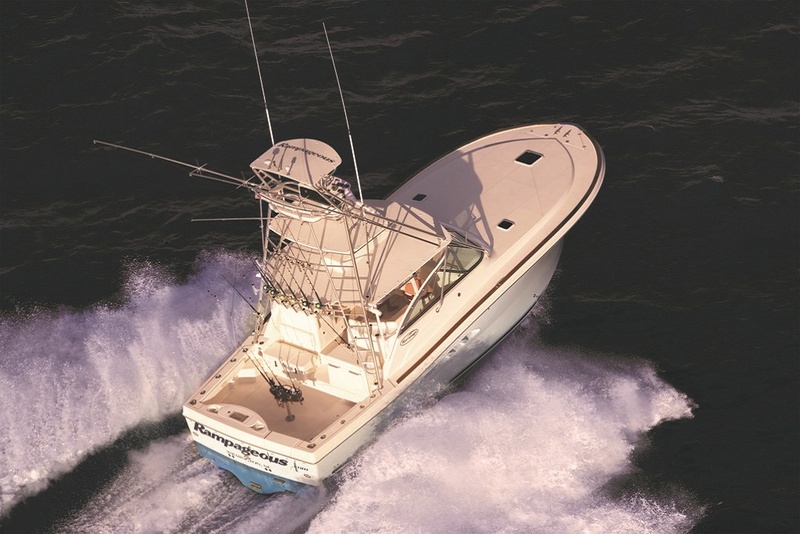 For more than 25 years, Rampage Sport Fishing Yachts have taken the world fishing. Originally conceived, designed and built for offshore fishing on the rugged waters off New England, Rampage earned a reputation for seaworthiness and versatility. Today’s Rampage is still a rugged offshore fishing platform, but now built to a level of comfort and style that appeals to the entire family – the best of both worlds. From 30’ to 45’, the Rampage line-up is designed with offshore enthusiasts in mind. Whether your passion is chasing billfish or cruising with friends and family, a Rampage will deliver exceptional versatility and a smooth, dry ride. 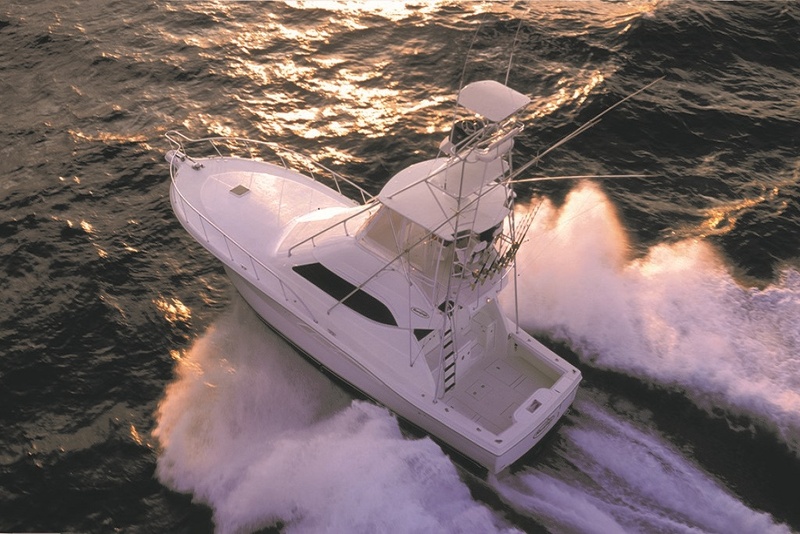 Rampage Yachts stands for rugged durability, thoughtful fishability and well-appointed cabins in a fleet of yachts. Our engineers and designers use the most advanced computer-assisted design technology. To this we add the artistry and attention to detail of the finest craftsmen in the industry. Rampage Yachts have a unique style. Rampages have a true offshore deep V or modified V hull. All of the newer models show the dry-riding Carolina bow flare. We use the finest materials available and take the time to install them properly. A Rampage is rugged, yet striking. 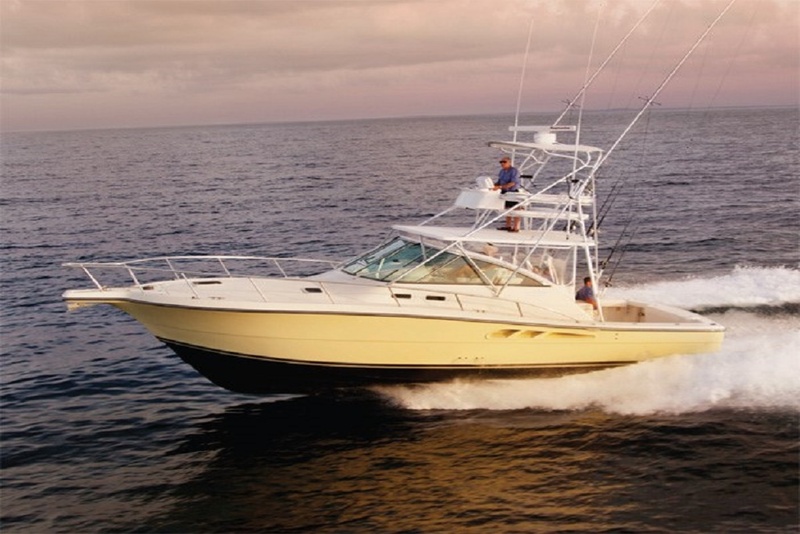 Our entire line of sport fishing yachts is designed to give you the comfort and confidence to go father offshore and get you back. Full fiberglass cabin liners, which are lighter than carpet over plywood and will not deteriorate. Aluminum bow rails for better durability. Bronze through-hull fittings below the waterline to ensure maximum strength and better corrosion resistance. Wisconsin, on the shores of beautiful Green Bay. Oconto is a small town with a big boat-building heritage spanning more than 50 years. The KCS facilities include more than 350,000 square feet of modern, climate controlled production and assembly space in a single location. Boats built in Oconto have earned the NMMA’s top CSI award for the past seven consecutive years.